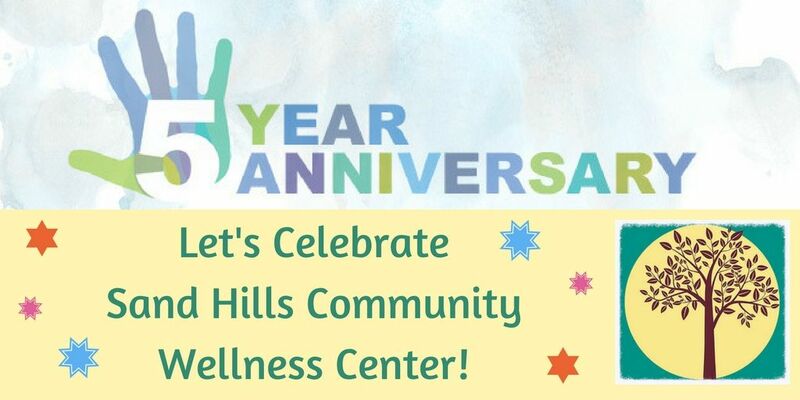 Last month, Sand Hills Community Wellness Center celebrated its fifth-year anniversary! KENDALL PARK, N.J. - April 13, 2018 - PRLog -- Last month, Sand Hills Community Wellness Center celebrated its fifth-year anniversary. Located in Kendall Park, NJ, this admirable non-for-profit organization has been successfully providing the community with a variety of unique and beneficial services and programs that help to achieve optimal health and healing. In March 2013, eight passionate volunteers officially opened the doors to Sand Hills Community Wellness Center. Starting a nonprofit from scratch comes with many challenges and risks; however the team of volunteers were determined to put their vision into action. Everyone who has been involved with the wellness center over the last five years has much to reflect on and celebrate during this exciting milestone. "We are thrilled to hit our five-year mark and it's truly amazing to see how far the wellness center has come over the years," expresses Maryann Rappa, MA, CPC & Director of Sand Hills Community Wellness Center, "One of the most rewarding accomplishments I have witnessed is the amount of people, both adults and children, we have brought together within the community thanks to our programs and services." Though collaborative relationships with individual practitioners, organizations and businesses, Sand Hills Community Wellness Center strives to fulfill their Mission: To reach out to the community by providing programs and services that enhance the growth of mind, body and spirit. Their programs currently include: yoga, reiki, mental health counseling, life coaching, massage therapy, family constellations workshops, healthy cooking class (Suppers Program), CPR certification, year-round comprehensive educational program (City Kidz World), hands on farm-to-table culinary education for children summer program (Garden State Community Kitchen), mindfulness workshop, reiki share, Elixir Fund, judo for children as well as teens, and sound therapy. With little overhead costs, practitioners can provide services and programs to people who either can not afford those services, or for whom these services are not readily available. In other words, a core component of the wellness center's vision is to serve people who are underserved or overlooked. Maryann Rappa states, "I feel we have been successful over the years because we are committed to providing a safe, welcoming and supportive environment to all. We plan to continue following our mission and we can't wait to see what the future has in store for us!" Sand Hills Community Wellness Center continually supplements their ongoing programs with new classes and workshops. For the most up-to-date information on class offerings and scheduling, please visit their website and Facebook page.